One of the most important challenges of the school is to orient and enlighten the new set of parents of Pre School who came to the school with aspirations and dreams for their child. A well structured programme was conceived for the session 2016-17. 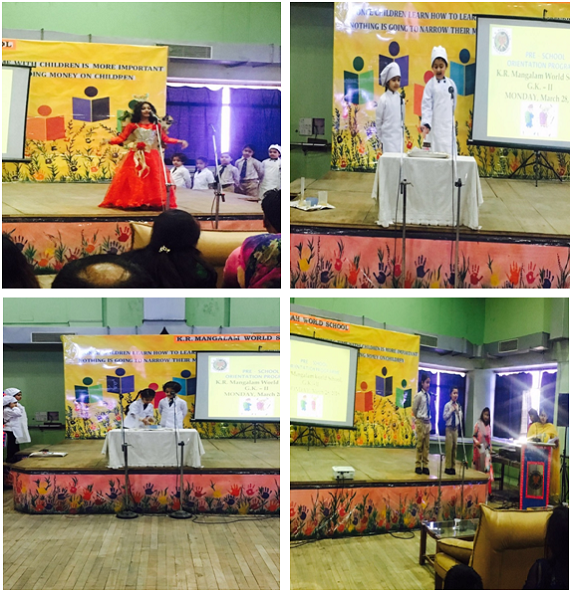 The orientation program for the parent’s encapsulated mesmerizing performances ranging from Show n Tell and Role Play by Pre Primary which encouraged a prolonged appreciation from the audiences. The show reflected the enthusiasm and confidence of our tiny wonders. A power point presentation enlightens parents about the objectives and philosophy of the school. It emphasized that provision of an optimal atmosphere and giving individual attention to each child ensures that every child grows and progresses to the best of his/her potential. The presentation elucidated the activities that are undertaken to develop the motor skills and eye hand coordination. 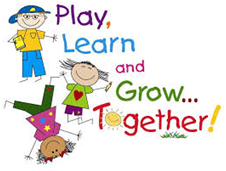 The curriculum emphasized on Motor Skills, Reading Skills, Language Skills and Numbers, Shapes and Pattern Work. The Principal Mr. Anand Swaroop shared his vision with the new members of our KRM family. At K.R. Mangalam World School efforts are made by the teachers and opportunities are given to children to excel in every field. Mrs. Baljit Kaur, the academic coordinator, spoke eloquently about the school and faculty that assuaged the doubts of the new parents. The programme ended with a rousing rendition of National Anthem.